The right to food is not about charity, but about ensuring that all people have the capacity to feed themselves in dignity. 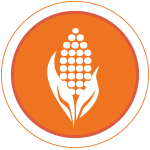 Food sovereignty is the right of peoples to healthy and culturally appropriate food. It emphasizes ecologically appropriate production, distribution and consumption, social-economic justice, and local food systems as ways to tackle hunger and poverty and guarantee sustainable food security for all peoples. In many countries, land-grabbing for the production of cash crops has left communities who depend on land to subsist devastated and destitute. Not only are their human rights being violated, but people are suffering from malnutrition, hunger, and starvation. The production of only one or two commodities for export contributes to food insecurity and widens the divide between the rich and the poor, the nourished and the malnourished. Change for Children encourages rights-based development. We accompany our southern partners (farmers and women’s cooperatives) on their quest to achieve food sovereignty. We support initiatives that put the control of food into the hands of those who produce, distribute, and consume food, rather than being at the mercy of markets and large corporations. The right to food is a human right. It protects the rights of all human beings to live in dignity, free from hunger, food insecurity and malnutrition. 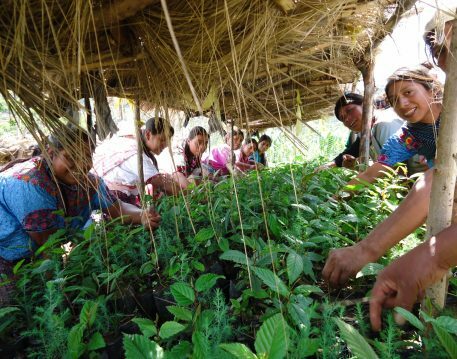 For nearly twenty years, CFCA has been working in Comitancillo.This project works with the Mayan Mam indigenous peoples to provide tools, seeds, and agricultural training for farmers marginalized by the Guatemalan government.